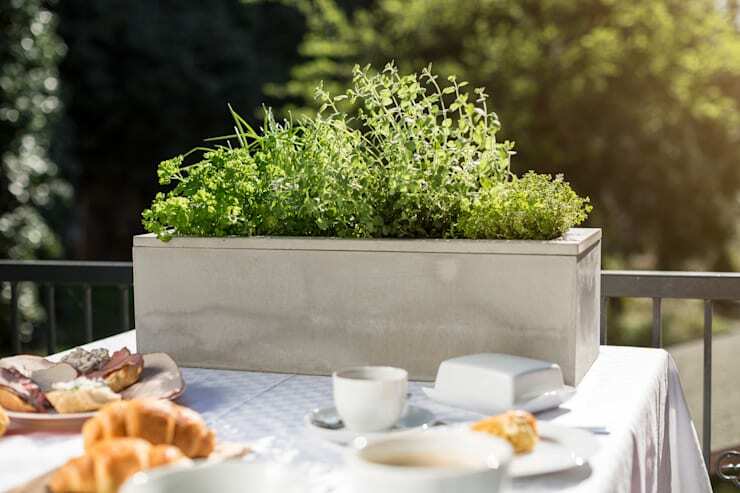 Begin by deciding on the size and shape of planter made from concrete and DIY the process. This means if you want a particularly large planting bucket with dimensions of more than 60 cm in height and width, make sure that the thickness of the bucket is at least 7.5 cm. You can even make you own moulds by making two boxes, for example, from cardboard. Then decide which size and shape the moulds should have and go for glass, plastic, cardboard, stainless steel or styrofoam to make suitable moulds. Use a lubricant to prepare the inside of the mould, making it easier to remove the concrete pot that you opted to do it yourself. Sprinkle some paraffin oil, sunflower oil or lubricant, this will stop the mould from breaking when you release the concrete pot plant. Remember to protect your hands with gloves during the concrete mixing project. 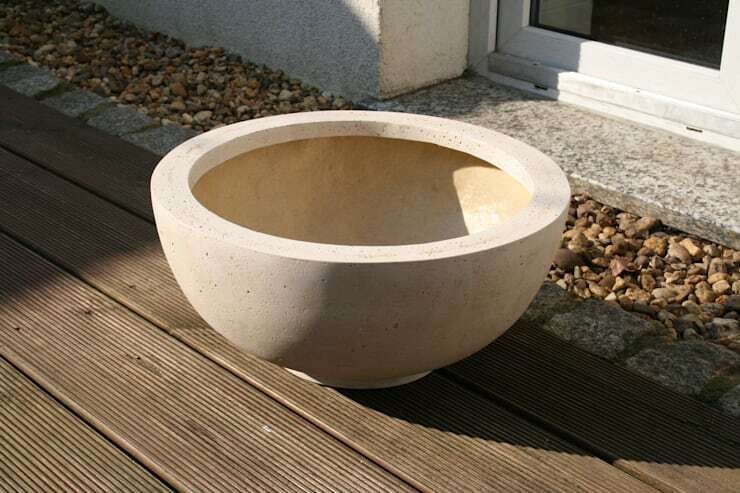 Mix the concrete in a bucket or in a wheelbarrow and only use its high-strength concrete. Pour the concrete into the bucket or wheelbarrow, gradually adding the water, while stirring constantly. Ensure that your mixing ratio is accurate to get the consistency correct. 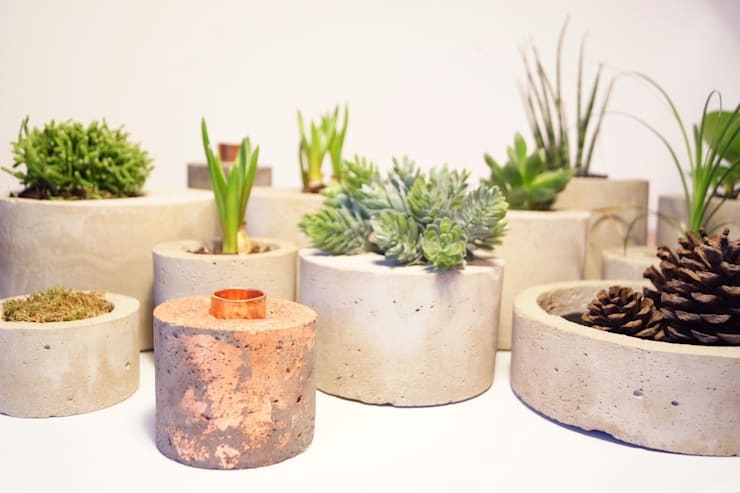 Be creative with that concrete pot plant that you've opted to do it yourself. Let's begin with the concrete casting. 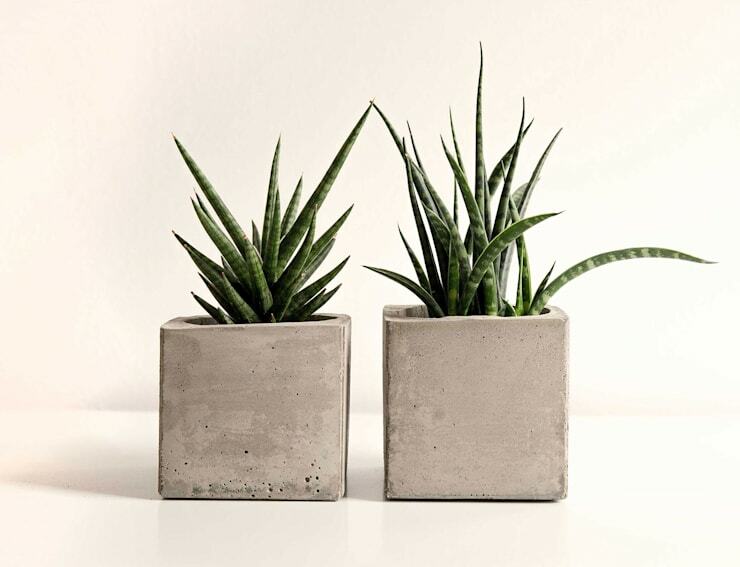 Ensure that your pour the concrete mixture slowly into the mould, the planter made from concrete DIY project should be smoothed down with a spatula or masonry trowel, but remember to keep your floor slightly thicker than the walls of the planter and keep it stable. Avoid the formation of air bubbles as this weakens the structural integrity of the pot plant. We're almost at the end of this planter concrete do it yourself project, all we need is patience… about 36 hours of it. Wrap the mould in plastic and check the recommended setting time on the concrete packaging. Test the concrete with or corkscrew to ensure that it is dry enough. Now that your concrete is set, it's time to remove the pot plant made from concrete. Use sandpaper to smooth the surface and get rid of any rough edges. The container should be left to dry for a whole week. Rub the plant pot once a day with a wet sponge or cloth until the colour is darkened. After two days of drying, you can drill holes for drainage. These are 23 cheap but effective (and stylish) garden fence ideas. 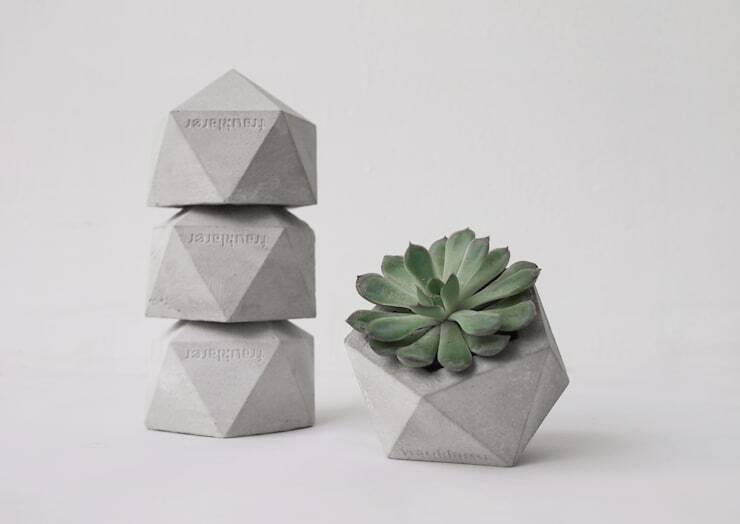 Would you attempt to DIY your concrete planter?